We are a business consultancy that operates in both the regulated financial services environment and with non-regulated business across many business sectors including telecommunications, health services, local authorities and travel. 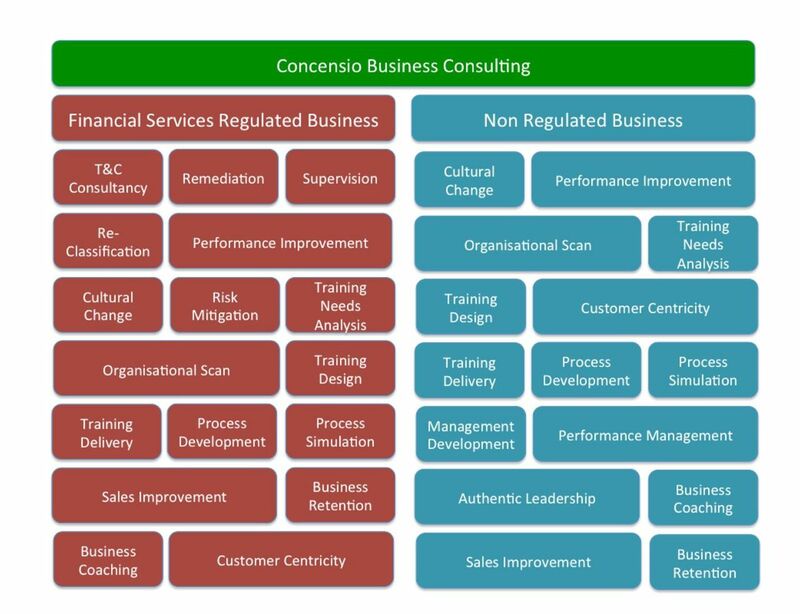 As you can see below, we have completed successful projects spanning an impressive range of business interventions across the two arms of the consultancy. We work with you and your business to maximise performance. We harness the efforts of the individuals you employ in the most cost effective way and ensure your processes put the customer at the heart of everything you do. Peace of mind – we have over 28 years experience operating in a regulated environment. Save you time – we deliver pragmatic solutions quickly to improve your performance immediately. Save you money – we offer the most cost effective approach that works for you. Whether you are looking at corrective action for your business or simply looking to improve performance, contact us now to discuss your requirements with us.